Dina Kowal Creative: My Sweet Petunia and Joy Clair Swap Hop! My Sweet Petunia and Joy Clair Swap Hop! 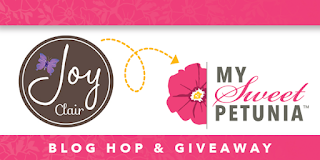 I'm hanging out with the My Sweet Petunia team today - hope you'll join us for a special hop with Joy Clair Stamps! Prizes are involved... so keep reading for all the details! If you just happened on the blog hop because you're a regular reader of my blog, and you'd like to view the entire hop, keep reading, and you'll find a full list of participants at the end of my post. If you're already hopping and you arrived here from my friend Lindsay's blog you're doing just fine. I had so much fun making this card, though this was my 4th attempt at getting it right! I used 3 clear sets from Joy Clair - Hugs and Smiles, Wonderland Letters, and Sketchy Chevron Background. I started off by stamping the flowers at the bottom of the card then masking to stamp a second impression in the remaining space. I actually cut 2 masks at once, and the MISTI made this task really easy. I lined up 2 sticky notes on my card and stamped right where I had the stamp in place already. Then I cut the 2 sheets together, and had the 2 masks I needed for the next step! ...then moved my card up 3/4" each time to create stripes for a full background. The flowers were colored with a combination of Copic markers (base colors) and colored pencils (shadows and highlights). Joy Clair has some gorgeous large (6"x8") alphabet sets - I think this one will be great on some future mixed media canvases! My sentiment is backed with a black Inchie Plus square from Inchie Arts, which gives it some really classy dimension. While I had my supplies out, I made another background - this time I used pastel chalk inks, and created some color variation by stamping one impression with my chevron border, then moving the card up 1/4" to create a darker area in the overlap. The sentiment on this card is from the Hugs and Smiles set - it's full of all kinds of sweet mix-and-match sayings with a fun script font. I used a variety of watercolors to color in the flowers on this panel - I tried using the inks from the background but the effect was more pale - I like the more vibrant colors here, and it was fun to mix them up a little. Both companies are sharing prizes for this hop, so for a chance to win be sure to comment on all the blogs in the lineup below! Thank you for visiting me today! Happy hopping! This is so pretty!!! I need to remember that I can add shadows with pencils!!! I love the chevron background! Gorgeous card! Great projects, love the masking and I do agree the Wonderland Letters are great. Dina, both cards are gorgeous! Love how you chose the chevron pattern for the backgrounds. Lovely and beautiful coloring on them, too. Thank you for the inspiration. Love your cards Dina, they are both fabulous. Two lovely cards! I love the chevrons on your background! You colored both of your cards beautifully! Oh so fabulous! Love both cards and how you tweaked the chevron to create some fabulous background. Yummy! Awesome backgrounds and beautiful flowers! Love your color combos! Great use of the MISTI! WOW Dina, such great stamps and cards. Wow, I love those cards. The colorful flowers against the gray and white background is great. Love both cards! The backgrounds are so pretty and colors are so vibrant. I had thought that it was patterned paper with stamps just at the bottom. Cool way to use those border stamps! Love both of your cards and the flower stamp. the card with the black and white background is very striking. That one is my favorite, but they are both very pretty . 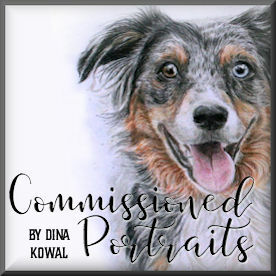 Dina, I really love how these two cards turned out. Lots of inspiration here with Joy Clair! TFS! These swirly flowers are beautiful! No matter how you color them, they look amazing! Very pretty cards! Your cards are beautiful. Thanks for sharing and participating in this blog hop. Both of your cards are stunning, but that top card is AMAZING!!!! Thanks so much for sharing!! Those swirly flowers are lovely and look like a lot of fun to work with. Beautiful cards and great tips! I love getting new project and supply ideas! Thanks! Super cards! Thanks for sharing them with us. How creative! Your cards are lovely. I love your pretty floral designs. 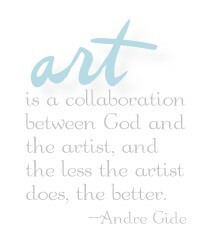 And, having a Misti certainly helps to make the creation of them so much easier. Stunning cards. I need to get a Misti. Beautiful cards, love how you used Hugs and Smiles. Thanks for sharing your tips with the Misti. I don't have one yet, so would love to win. Sweet cards with the flowers and chevron backgrounds. Beautiful cards, I love how you did the chevrons, love the coloring of the flowers. The second card is my favorite. I love how your shading makes it look so dimensional. Beautiful cards! Your cards are so pretty. Love the different colors and designs you used. Awww!!! Awesome cards!!! Colors are amazing!!! Clever use of the chevron stamp and MISTI to create a lovely background and card. Thanks for sharing. Really like the bold design for background! I love both these cards! Love seeing how different they look with brighter & softer colors. Thanks for sharing all the tips! The effort you took really paid off!! Both of your cards are beautiful, Dina! I love the bright colors as well as the soft pastels! Both cards are beautiful! I love how you made your own backgrounds. Thanks for sharing! The flower stamp set isn't something I would normally chose to buy but you have changed my mind! So many ways to use those stamps and all beautiful cards! Thanks! Sweet use of that chevron background! These are both so cool, but the striking contrast of bright colors against the gray just POPS! !